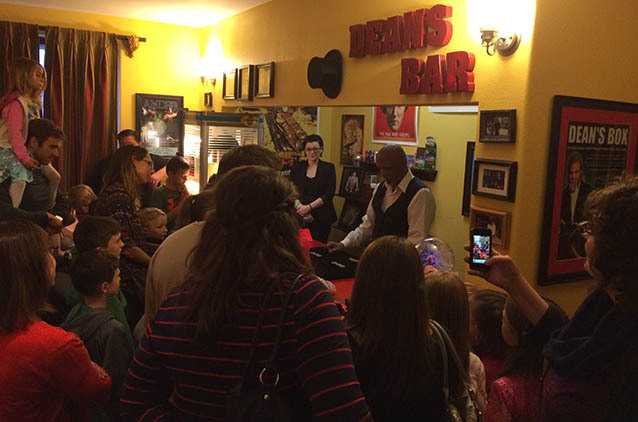 Private Magic Shows in Austin TexasBirthdays, Christmas Parties, Corporate Events, and More! If you're looking for a venue to host a corporate event or private party, then you've come to the right place. 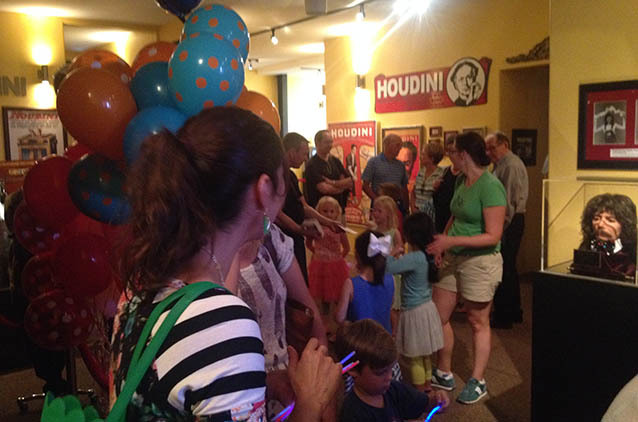 Magic's Theater & Museum hosts private magic shows Sunday - Thursday evenings. Please call (512) 289-4461 or email us at magicstheater@gmail.com with questions and to check availability. Discount vouchers, coupons, and gift certificates will not be accepted for Private Shows. Magic's Theater is a BYOB establishment and charges a minimum one-time corkage fee of $20 (depending on group size). 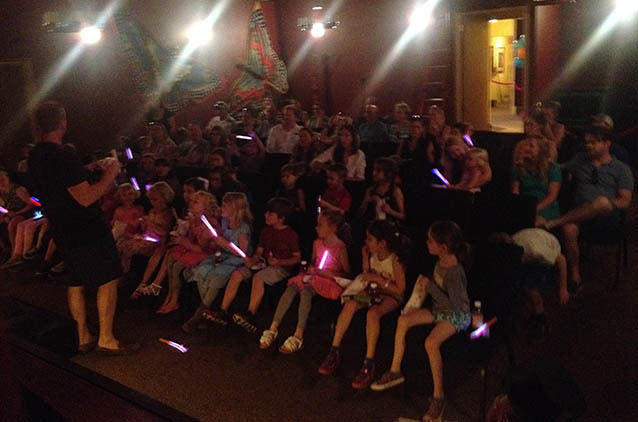 If you have a group of 50 to 100, we recommend a Private Stage Show at Magic's Theater & Museum. These shows are available Monday through Thursday, 7pm performance. Please contact us via email or call (512) 289-4461 for pricing and details. The Stage Show is recommended for all ages. 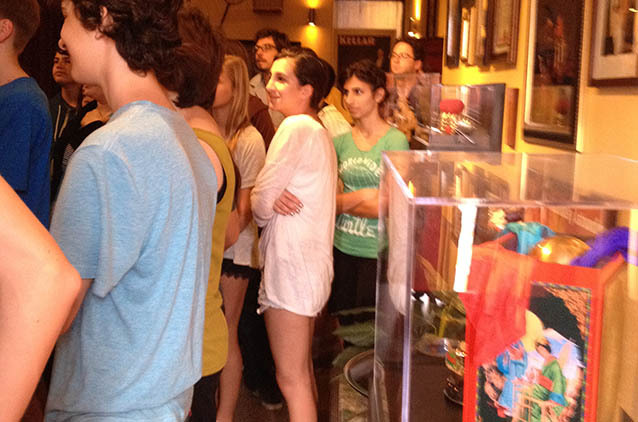 If you have a group of 6 to 25, consider a Private Close Up Show at Magic's Theater & Museum. Close Up Shows are available Sunday through Thursday at 7:30pm and cost $25 per person. Close up shows are recommended for ages eight years and up. "From the moment our guests walked in, they were treated in a magical fashion. Cupcakes, cookies and popcorn were beautifully displayed and caused great joy amongst the younger guests. John Magic's show amazed us all - his wit and banter fun for everyone. Don't miss the opportunity to experience this hidden gem in the Texas Hill Country!" Magic's Theater Copyright 2019. All rights reserved. Managed by Austin Restaurant Guide and Austin Attractions Guide.